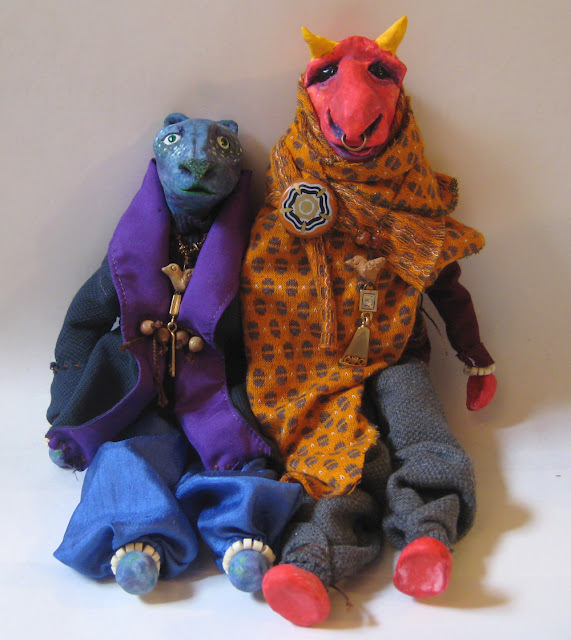 Here's the pair for the bull -- I gave them matching necklaces and bracelets. A bit like a cat? I had fun with the speckled paint job.